If you are into Jedi, weeds, and French dipped sandwiches, then you would have died to be me this weekend. In addition to a Star Wars party Little Man attended, where he appalled me with his behavior (did I raise my child in a barn? ), I had the pleasure of pruning roses, raking leaves, throttling overgrown herbs and trying to make my garden look like something more than a horror story. 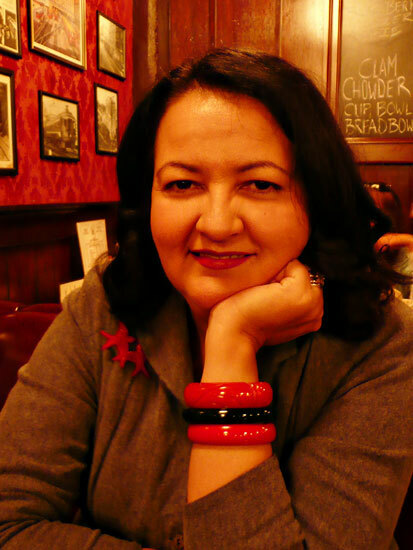 However, in the middle of my life of glamour, I got to take a respite in L.A. for lunch at Cole’s, open since 1908 and the originators of the French dipped sandwich. Cole’s shares the title of originator of the French Dip with Philippe the Original, also a downtown Los Angeles staple. While there are people on both sides who can strongly argue who came first, what really matters is taste. Cole’s cuisine is superb and has received numerous write-ups. Residing within the old Pacific Electric Building, it also includes the Red Car Bar. Don’t you wish you lived my elegant life? Well, if you’re hungry, you can. 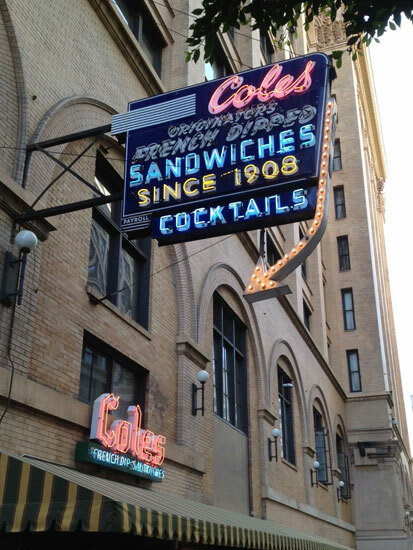 For all of the hours and hours we have spent downtown, we have never been to Cole's. Craziness! Thanks for the motivation to get there! I had a picture of the French dip I was going to post, but it just looked…odd. It was o.k., though. But their garlic fries will leave your breath flaming. LOVE IT. And they also have a featured 30s cocktail each month. I didn't look at the bar menu until we were leaving or I would have ordered it. This months was something mulled with champagne.